This site is gratefully dedicated to His Holiness Maharishi Mahesh Yogi. It is his inspiration and simple yet profound meditation techniques which enhance life and more fully unfold our potential. Through these techniques we gain the refinement of perception to more thoroughly enjoy great works of art. And through these techniques we can gain the fullfillment of enlightenment. Find out more about these techniques. 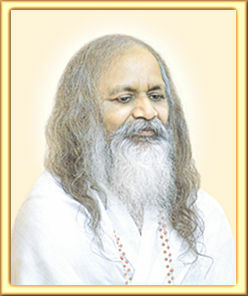 Images and quotes of His Holiness Maharishi Mahesh Yogi. "Art really has its source in the transcendent, the unmanifest field of pure consciousness, which is the non-changing, immortal field of all possibilities. That supreme intelligence, complete in itself, designs the activity and destiny of all creation. When the awareness of an Artist is in tune with this centre of infinite creativity, his creation, his piece of Art, breathes fullness of life, nourishes the creator, the Artist, and inspires his admirers with waves of bliss. An Artist is always transcendental, because he always brings forth on the surface of experience the deeper, hidden transcendental values. Fortunate are those Artists who are practising the Transcendental Meditation technique and are blessing the society with the wealth of the unfathomable depth of their consciousness. The beautiful role of the Transcendental Artist of our time is in unfolding the transcendental glories of the Age of Enlightenment. Today is the 30th day of the second year of the Age of Enlightenment!"